Quite simply, no recent installation better illustrates the challenges faced by today’s Night Club owner that the suite of rooms known as The Parlor Collection. 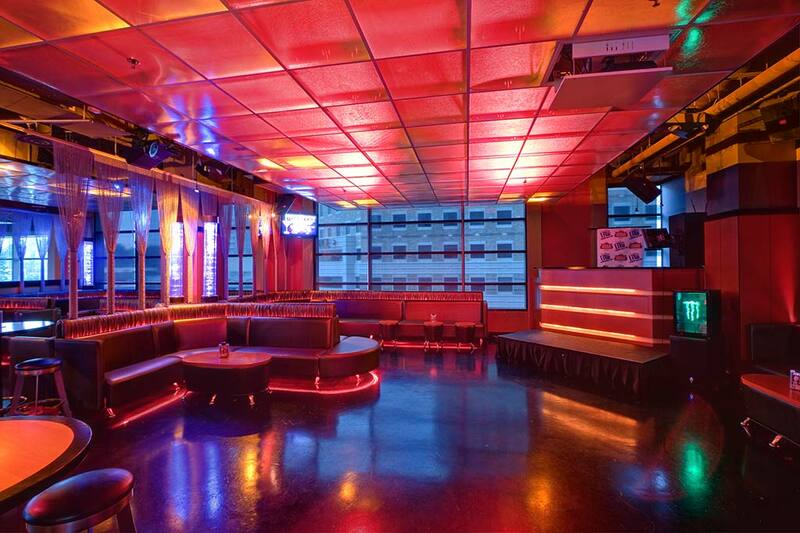 Housed in the heart of Lincoln Square in Downtown Bellevue, this facility captures the essence of what it takes to be successful and in demand in the Nightlife Entertainment business. 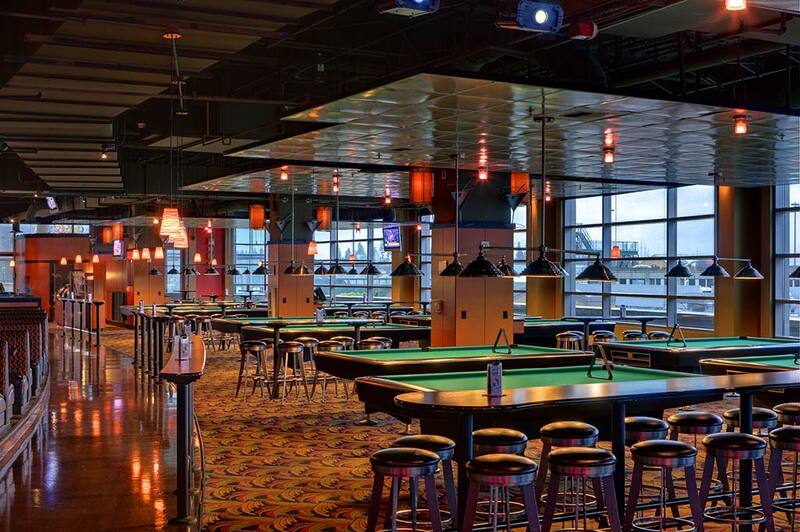 Start with a restaurant facility with ample seating and pair it with a huge, world-class billiards parlor peppered with Hi-Definition flat panel displays. Provide an outstanding menu of perfectly prepared food, and make that menu available for catered events. Add two private rooms with billiards and Hi-Definition TV displays. Now add three distinct dancing and gathering areas around two full service bars. To top it all off, include a separate state-of-the-art comedy club on one side of the building and you have a bird’s eye view of Parlor Live/Ultra Lounge, The Parlor Collection. Managing all of these rooms and the complex interactions between them became Morgan Sound’s job in 2008. Our first task was to design and install an audio and video system in the back area of Parlor Billiards. 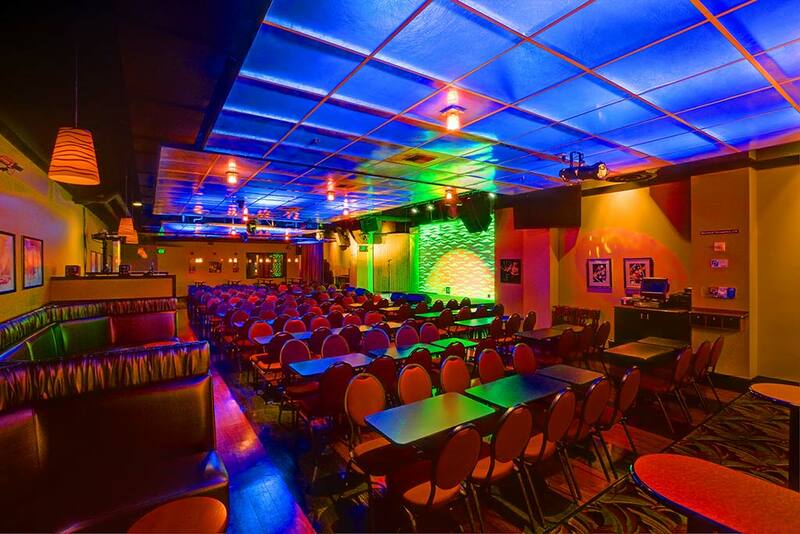 The billiards area was to be dismantled to make room for Bellevue’s newest and best Comedy Club, Parlor Live. However, owner Steven Olson wanted to make sure he could do anything with this part of the club, so we began working to meet the ever-growing list of needs and expectations of the management team. 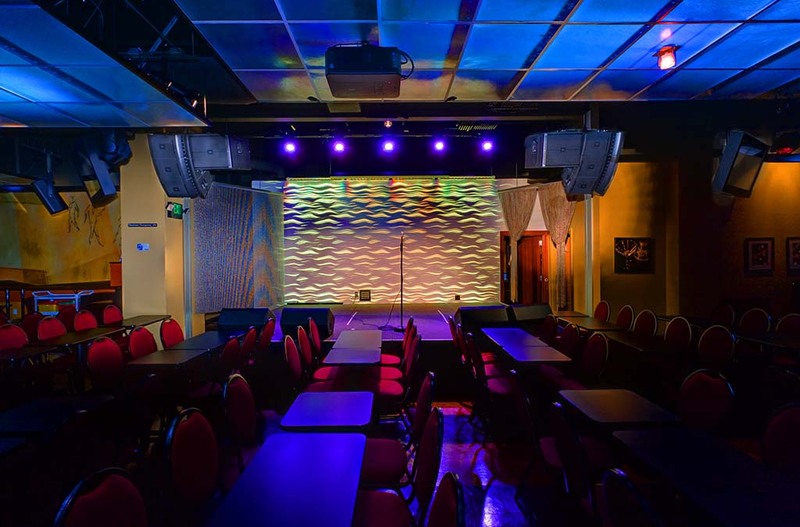 A fully digital audio system designed to cover the entire room with full spectrum, high output audio capable of handling the articulate needs of the comedy club and the anticipated use of the venue as a dance club with DJs and live music. A video system comprised of large flat panel displays on either side of the stage opening and a 1080p wide screen projection system. A touch screen control system was developed and installed to control all functions of the house lighting, performance lighting and playback systems (both audio and video). Entertainers were considered when we installed the ability to capture full digital recordings of every performance on demand. External digital signage was created and installed at both the South entrances to provide a means to easily update coming events, menus and other information related to the club. It was later decided to expand the capabilities of this room by providing digital transport of the audio and video signals out of this section to other areas of the facility to enable overflow viewing and participation in meetings and other events held in Parlor Live. We integrated a Yamaha LS-9 digital mixing console into Crown CDi power amps and JBL VRX speaker systems. The audio system includes a complete stage patching system, JBL MR Series floor wedges and side fill speakers for the extreme corners of the room. Video switching and scaling is done through Extron products, and all video signals are transmitted around the facility on CAT 5 cables using digital converters. Everything is processed through BSS London processors and control is straightforward and simple with custom AMX control panels allowing the user to recall lighting, video and audio presets from one central control position. The signal from London is combined with the video signal and sent out to be connected to the audio/video systems in UltraLounge and Parlor Billiards. The entire scope of work, including design and installation, was completed in 28 days. Next we focused our attention on the sound system(s) in UltraLounge. Our task was to first eliminate the intermittent problems with the system and restore reliability due to unfavorable installation techniques implemented by the original installer. We also added BSS London processors to the system to upgrade the overall signal path of the system. Once this was accomplished we began to tackle the acoustical issues that come with multiple events happening simultaneously in a space as dense as The Parlor Collection. Dancers demand the delivery of high impact music to the dance floor at high sound pressure levels. Ultralounge is outfitted with several large subwoofer systems that are suspended from the ceiling, which is pre-stressed concrete. These suspension points allow the subwoofers to transmit VLF (very low frequency) energy through the structure to other areas of the facility, and this causes disruptions in the programs for one area or the other. Turn down the subs and the dancers are unhappy. Leave them up and the Comedy Club patrons are distracted. We implemented several techniques to minimize the ‘crosstalk’ between the spaces, including the use of isolation hangers for the subs, repositioning the subs to reduce proximity to the Comedy Club area, installing insulation in all the air spaces where sound was traveling and caulking all the seams of the newly constructed walls. After this was done, we then created program presets that could be recalled as needed to ramp the program levels up in UltraLounge throughout the night. The final phase of this project was to add additional speakers in the newly developed UltraLounge III space that is used in the early evening hours, allowing customers the opportunity to meet and mingle outside the higher sound levels of UltraLounge. Our installation has been up and running since December of 2008 with no down time and continuing high levels of satisfaction from the owners and patrons!